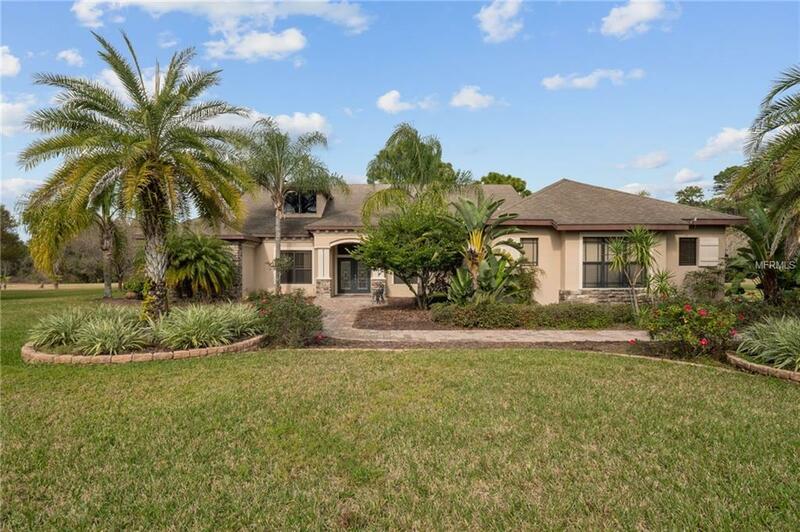 CUSTOM BUILT ESTATE HOME IN THE PRESTIGIOUS BEAUCLAIR RANCH CLUB, ONE OF TAVARES' PREMIER GATED COMMUNITIES!!! 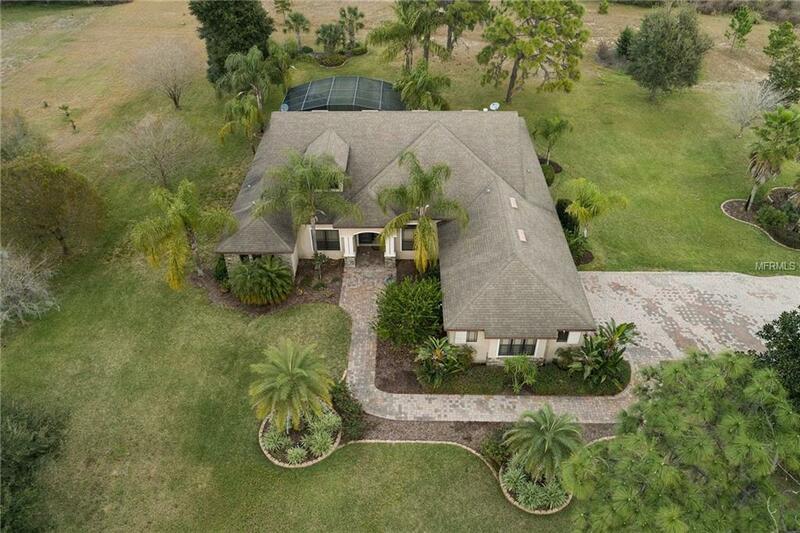 This four bedroom, three bath home sits on over 3.5 acres of land with canal access that leads to both Lake Beauclair and Lake Apopka! 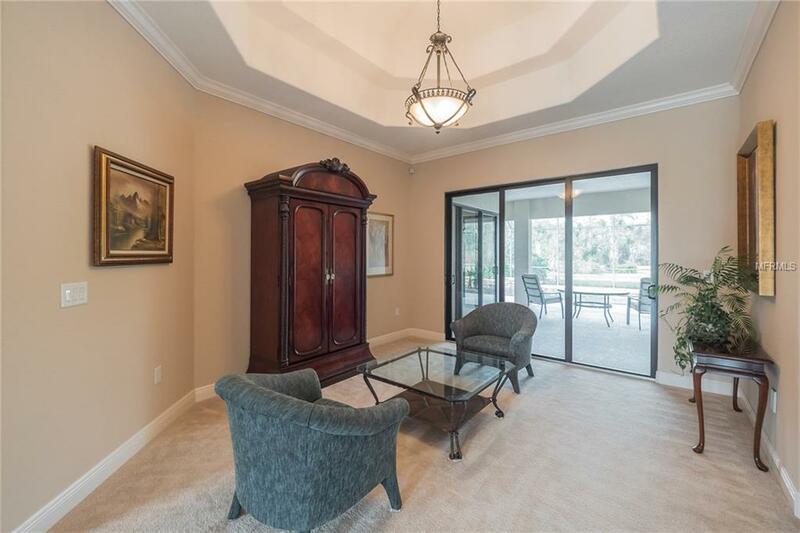 The 3 way split bedroom floor plan has a dedicated office (which easily doubles as a fifth bedroom), separate living and dining spaces (with wet bar) and features a huge open concept kitchen and family room. The kitchen is a chef's dream showcasing a center island with custom integrated butcher block, under mount lighting, two built-in ovens (one is convection), separate microwave, warming drawer, built-in refrigerator, 5 burner propane cook top with pot filler and an industrial 5 foot hood... all complimented by a custom slate mosaic tile back splash. The master suite is over sized with corner sliders opening to the pool and lanai and features a spa-worthy bath with dual vanities, a Roman soaking tub and double walk-in shower. The outdoor area is perfect for entertaining with its extended lanai, screen enclosure and summer kitchen with downdraft grill/cooktop. 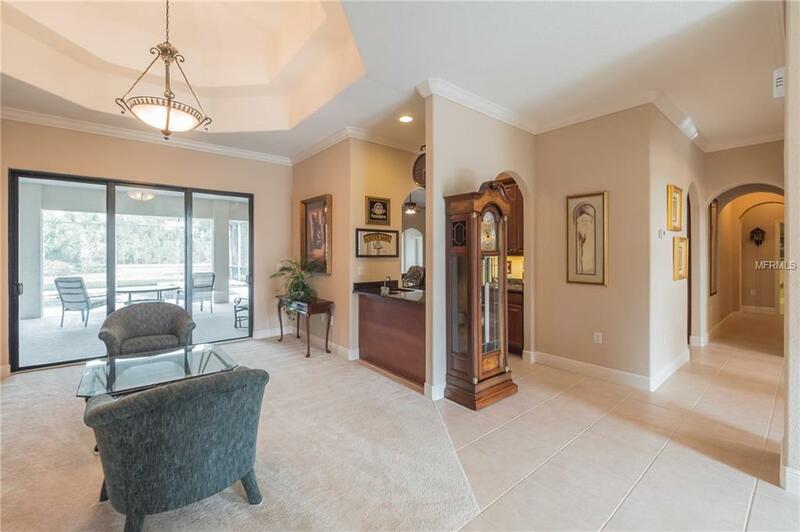 Additional home features and upgrades include: multi-room home speaker audio system; alarm system; smart connection center; cable and satellite already installed; well system with additional holding tank, line filter, water softener and chlorine system; yard irrigation system; central vac and so much more!!! MLS #O5705744 IS THE ADJACENT LOT TO THE WEST OF THIS PROPERTY AND IS ALSO FOR SALE.